Receiving a traffic ticket is never enjoyable, but by taking an Oakland traffic school course, you could evade higher insurance charges and actually learn some new jokes at the same time with Traffic School by Improv’s hilarious “Edu-tainment” based course. 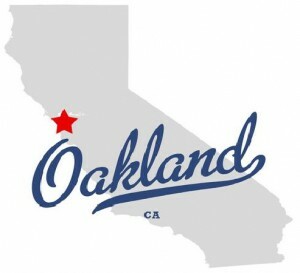 Oakland California approved traffic school is an option chosen by many. However, there are other methods to handle your citation other than, traffic school in Oakland CA. Pay the citation. If you pay the citation, you will be in agreement to your financial duty to the court. Remember though, in doing so, you are in essence pleading guilty to the ticket. Immediately, the violation and all related points will be added to your DMV driving record for a long and painful three years, resulting in an automatic increase in premiums for the three-year period. If you elect to pay the traffic offense fine, ensure to pay on or previous to the deadline clearly stamped indicated on your citation, or the court will compel you to pay more penalties for being late. No excuses. The Alameda County Court does allow you to request an extension of time to pay the fines, but you have to communicate or pay the price. Contest the Charge. . So you know you aren’t guilty. You have to prove it. Request a trial, at which time you will have the opportunity to present the proof. If you go this route, you might want to hire an attorney. You need to have witness statements, photographs or other hard evidence. A statement from your mother saying you are a good driver will not sway the court. The peace officer who gave you the ticket is also subpoenaed to appear should you contest the violation. He will likely be prepared to ensure you lose. Appear in court and submit a plea of “Not Guilty.” Receive a date for trial and make darn sure you put in on your calendar and show up. Courts don’t accept excuses. Contact the court and schedule a day at when you will plead “Not Guilty.” Again, you will be given a date to appear. Request a Trial by Written Declaration.No need to appear in court for this one. Get your notes together and create a convincing document that you will is worth submitting for the purpose of possibly getting a dismissal. Mail the Trial by Written Declaration and be sure to attach any addendums that might support your written statements. Keep in mind the peace officer, subpoenaed as well to submit his or her a written report, will be there with you before the judge in the Oakland traffic court before the Commissioner who will review all written declarations and attachments. Once this hearing is over, you will be notified of the ruling by mail. You should ensure you dress for court and present yourself with the utmost decorum. Don’t roll your eyes or shake your head at what the other side is saying. Don’t speak out unless spoken to. Don’t walk in chewing gum or slurping on a drink. If the judge does rule in favor of your side, affirming you indeed are blameless of the disobedience for which you were ticketed, your ticket will be thrown out and a refund of monies paid by you will be ordered. You will receive your refund via the mail. Don’t expect to get your money the same day. Trial by Written Declaration is not an option for car crashes, criminal transgressions, ordinance violations not related to traffic, or crimes requiring mandatory appearances. Find instructions, information and materials needed in order to submit a Trial by Written Declaration by visiting Oakland traffic court. Earn a Certificate from a California DMV-Approved Traffic School. Successfully completing a CA DMV approved traffic school online is the best way to handle your Oakland traffic ticket as those damaging points from your ticket will be veiled from your driving report, meaning you don’t have to give more of your hard-earned money to your card insurance company each month! As long as you don’t have an infraction which would keep you from attending Oakland CA online traffic school, go for it! Request to attend traffic school to get your that uncool violation out of your life! You will still have to remit the entire ticket sum plus an admin fee for traffic school enrollment and administrative fees. When paying the bail amount of your Oakland traffic ticket, you will be given the option to take an Oakland traffic school. California Traffic School online in Oakland is the best option because you can complete it anytime from your own home and can do so at your own pace and around your busy schedule. You may remit your Oakland traffic ticket fines using online using Alameda County Online Payment System. Check to ensure your credit care type is accepted. Allow $6.00 for the ever-present processing fee. Take care of your Alameda County citation fee using Visa and/or MasterCard via telephone using Alameda County’s Automated Payment Phone System by calling 1-866-822-0560. Be ready for another $7.95 service fee here. Mail the ticket stub and a check to the court address listed on the ticket, or use a Visa or MasterCard by utilizing that portion of the form used to enclose with your payment. Always double check that you have included the violation number so that records are updated accordingly. As of July 1, 2011, the California DMV began to restrict only one traffic conviction (points or no points) within an 18-month timeframe to be veiled from your driving records by attending online traffic school. Attending an Oakland traffic school is a sizable financial benefit because your auto insurance rates will not climb as a result of a traffic ticket. Why? Because taking Oakland traffic school will mask your citation and associated points so that your insurance company cannot view them. No points means no increase. No violation means it never happened! Not only does Traffic School by Improv Comedy Club mix comedy traffic school together with driver education with entertainment (That’s the “Edu-tainment!”) the class not humdrum, and you may very well pick up a few great road humor to share with your friends. If you have an Oakland traffic ticket in your pocket, Improv makes it not only enjoyable, but also trouble-free to get rid of it. The lessons are 100% online and you can partake in the material as your schedule permits—whether you do it all in the same day or spread it over a period of time. After all, we all have lives. If you log out of the course, simply log back in when you are ready to resume and you will recommence right where you left off. Your work is saved and secure. We report your Oakland California approved traffic school completion the same day to the Alameda County Court, as well as to the mother ship (California DMV) at no additional charge. That’s right. You won’t face yet another fee! If you have a CDL, you must have not been operating that commercial vehicle when you received the violation. At least 18 months have elapsed between the date of your last ticket dismissed due to traffic school completion. Violation mustn't equate to more than one point. Violation mustn't be for a seat belt violations. Violation mustn't be a misdemeanor. Violation mustn't require a mandatory court appearance. Violation mustn't entail drugs or alcohol. If a speeding violation, you must not been going 25 miles per hour beyond the speed limit. Remit payment to the court for both the bail amount and the administration fee by selecting the “Traffic School” option. You will be given 60 days to complete your Oakland traffic school. Select the best California comedy traffic school for you. Complete the course either all in one sitting or in separate sessions over a period of time; just make sure to complete the course on or before your traffic school completion deadline. You are free! Grab your keys and leave the led foot at home. Traffic school has already transmitted to all interested parties your attendance and success, so you need do nothing to establish your completion. You can easily download and save your receipt for your records 30 minutes after completing the course. File it and hit the road.